The town of Huntersville has a population of 56,212 according to the 2017 census, making it the 17th largest city in North Carolina. Huntersville is located in Mecklenburg County and can be accessed off of I-77 at exits 23 and 25 and only 12 miles from Uptown Charlotte. Huntersville also is close to Lake Norman and you can get to the airport in under 30 minutes! Huntersville has made Forbes list for one of the best places to live as well as MSN Real Estates top 10 best affordable place to live. This is due to its affordability, low crime rates, shopping, parks, accessibility to Charlotte and of course Lake Norman. 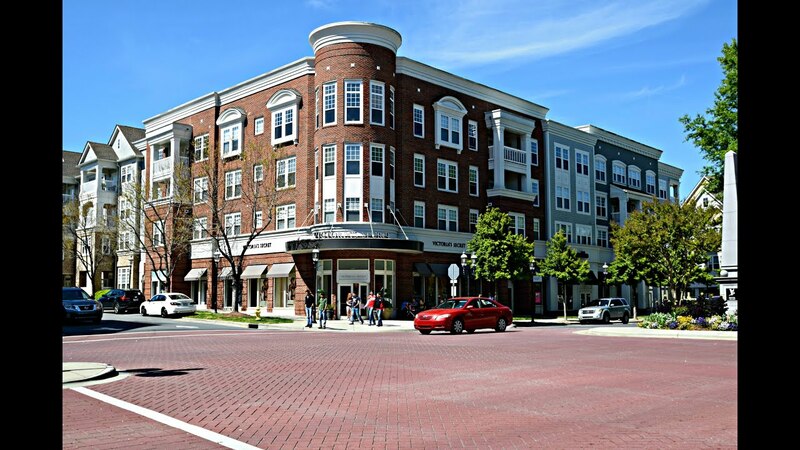 Huntersville has two great mixed use developments that incorporate retail, restaurants, living and entertainment. One being Birkdale Village which also features a movie theatre at exit 25 and the other being Rosedale Shopping Center at exit 23. There is also Northcross shopping center that offers big box retail stores such as Target, Kohls, Staples, Lowes Home Improvement and PetCo. In Charlotte at exit 18 you will find Northlake Mall for a more traditional mall shopping experience with stores such as Macy’s, Dillards, the Apple Store as well as dining and a movie theatre. Huntersville is home to historic Latta Plantation which includes historic sites, trails for walking and biking, horseback riding, and access to Mountain Island Lake for public fishing and boating. There are also several golf courses located in Huntersville. For public golf there is the Arnold Palmer designed Birkdale Golf Club. There is also the semi-private Skybrook Golf Club and the private Northstone Country Club. There is also access to Lake Norman at Blythes Landing off of Hwy. 73 which offers 6 boat launch sites, as well as picnic areas, a playground and volleyball courts. Lake Norman is great for boating, water skiing, tubing, fishing and has designated swimming areas. Mountain Island Lakes’ primary function is to provide drinking water to residents of Mecklenburg and Gaston Counties. However there is public access for boating and fishing. In downtown Huntersville you will find Discovery Place Kids which is a 23,000 square foot museum that offers interactive learning based play opportunities for children under the age of 8. Huntersville Family Fitness & Aquatics is an 88,000-square-foot facility includes full aquatic and fitness components. With a 50-meter pool, a 25-yard warm water pool, an outdoor family fun pool, full-court gymnasium, complete fitness center and group exercise studio. Huntersville offers a variety of great restaurants from the big chains to local restaurants & breweries. What ever you are craving, you will find it here! Below are just a few you can try! The Town of Huntersville offers 10 parks that contain baseball/softball fields, soccer fields, playgrounds, tennis courts, basketball courts, covered shelters, walking trails, & mountain bike trails. Huntersville is home to national and internationally known companies and some of the towns largest employers are: SABIC Innovative Plastics, Rubbermaid, Irwin Industrial Tools, Max Daetwyler Corporation, American Tire Distributors, Inc., Presbyterian Hospital, McGuire Nuclear Station, Siegling America, Americredit, Metrolina Greenhouses and Joe Gibbs Racing to name a few. Children who live in Huntersville attend Charlotte-Mecklenburg schools. You can check to see which schools are assigned to an address here: School Locator There is also the option for private and charter schools as well.